You are probably hearing a lot about off-market properties lately. There seems to be some confusion about whether they’re a good idea or a bad idea, so we wanted to clear this up for you. 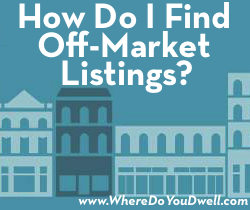 An off-market property is a home that is not listed on the MLS. Both buyers and sellers often think that an off-market property provides a more “exclusive” transaction. Let’s review the pros and cons for both buyers and sellers before you move forward with an off-market home. Sellers: Is An Off-Market Sale Best for You? There are several advantages to selling your home off market, and it can make your life easier during the selling process. However, without listing it on the MLS where it gets exposure to all buyers, you face the potential of leaving money on the table if you decide to go this route. Test market your home and price before it hits the market. You can get an idea of its saleability and see how the local market views your home and its price. If it’s priced too high, you can lower it before you list it on the MLS and avoid a public price reduction. Avoid the ticking clock of “days on market” since your home is not officially listed on the MLS. There’s no pressure worrying about your home going stale or having it sit while buyers increasingly wonder what is wrong with it. That could be ripe for lowball offers. This tactic works best for very high-end homes that take longer to sell even in a fast-paced market. Maintain more control in the selling process. You can sell your home on your terms – who can see your home, when it’s available, etc. When there are fewer homes on the market but lots of buyers, you can be more selective and not go public with your sale. Why would you do this? Usually if you don’t want your neighbors to know you’re selling or if you’re not interested in having a parade of buyers come through. Avoid the hassle of time and costs to prepare your home for open houses and multiple showings. You don’t want the inconvenience of sprucing up your home. Off-market properties typically get fewer showings but more serious buyers. This cuts down on the number of showings you have and the times you have to get your home ready at the last second for an unannounced showing. Avoid the MLS limelight and have a more low key approach if you want privacy. Some sellers find it too overwhelming to have the whole world seeing photos of their home and belongings online. Or, don’t want lots of strangers in your home. Once it’s listed, your home is in the public domain for all to see. Sell your home discreetly and more simply if you face a divorce, an estate sale due to death, or another reason for a forced sale. Adding the formal process of selling your home can increase stress when you least want it. This way you can avoid that. Fewer buyers mean less competition for your home. The more people who see your home, through the MLS and in person, the more likely your home will sell faster and for more money. Potentially a lower price than what the market might bear. When you sell your home off market, you’ll never know what it could sell for if it had been listed on the open market where more people could become interested it. In the current fast-paced market, it’s not out of the ordinary to have a bidding war where the price increases tens of thousands of dollars or more. With fewer buyers seeing your home, you are less likely to have a bidding war to drive up the price. Buyers: Should You Buy An Off Market Property? Off-market properties can really be a win for the buyer. Because the home never hits the open market for all buyers to see, there’s usually less competition for off-market properties. This means you might be able to get a good deal! Access to homes not on the MLS. When inventory is low, this is another outlet to potential sellers. You might find a hidden gem that most other home buyers will never even know about. Less competition from other buyers means you could get at deal. The fewer buyers who see the property, the less likely there will be a bidding war so you could potentially get the home for less than if it hit the market. More time to make big decisions. Since fewer buyers will know about the property, it could take the seller longer to sell the property. This means you might be able to take more time making such a huge decision. Announce your specific buying objectives to home sellers (even those who have not yet officially decided to sell). You can uncover the “right” home and let potential sellers know what you want. Avoid looking at tons of homes and the crush of buyers at open houses. It won’t be as overwhelming and tiring. You never know what price the home will get on the open market. You may end up paying more or less, but you’ll never truly know since the sale was not open to the public. 1.) We belong to an exclusive invitation-only network of the top 10% of agents in the DC area. This forum posts information about off-market properties several times a day. You can find more information on Top Agent Network here. 2.) 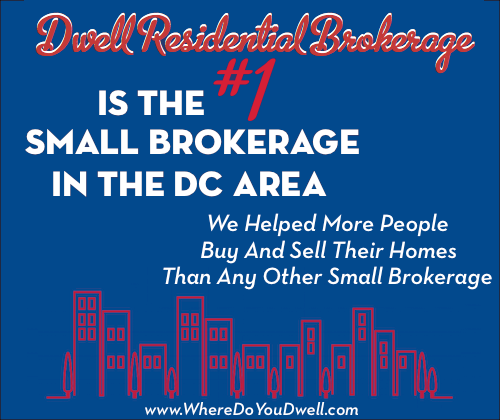 Since the agents at Dwell Residential have worked in the DC real estate market for over 13 years, we have strong relationships with agents at every office in town. We can reach out to these agents when we have buyers looking for a particular property. 3.) We have a pipeline of listings that are not yet on the market. Sometimes a seller is getting their home ready to sell, or the time of the year is not advantageous for a seller (like around the holidays) and we recommend they hold off. 4.) We have relationships with developers across the city who we know are working on homes that will be coming on the market soon. They are willing to sell directly in order to save money on commissions, staging, and the time it takes to get a property in show-shape. All in all, off-market properties are more likely to benefit a buyer in this market, but this option can be a good idea for a seller who wants a very noninvasive, private sale. Consider the pros and cons above and always reach out to us if we can help you find something that might not be on the market yet!